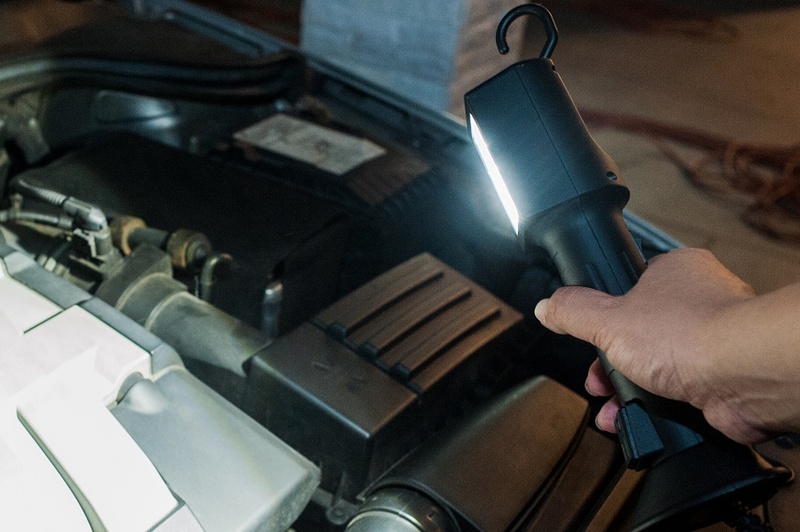 The Allmax trouble light is a highly functional utility light. Owner can bring the trouble light anywhere they want it to be used. For example, the owner can purchase several trouble light simultaneously since allmax always attempt to present the product as economical as possible and then distribute it to different places such as each of their cars, barn, tool box etc. The purpose of storing them in different places is because it is not big, but is capable of lighting up the area firmly. Additionally, the Allmax trouble light is having the ability of IP65 which is basically invincible anywhere except under-water situation in terms of its capability of protecting the product from dirt and water. Allmax have intimately consider the need of our users that they might be using more than just one equipment (in the case, the allmax trouble light) when they need trouble light. Therefore, Allmax have designed a extra outlet on the trouble light making our user capable to connect an extra equipments in the same time. Conclusively, the Allmax LED trouble light is offering a more convenient choice for the customers to pick when having the dilemma of picking the Allmax trouble light or trouble light from other company. I guess the Allmax should pop out as the answer immediately afterwards!